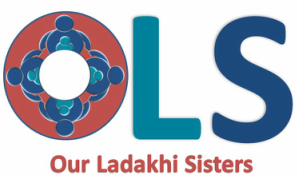 OLS is run entirely by volunteers. There are currently 7 Board Members coordinating activities and collaborating with organization located in India. Our Board Members have varied backgrounds with diverse skill sets. If you would like to get involved and volunteer, please contact us at info@olscharity.org. Gary resides in northern Maine where he’s been a small business owner for 40 years. He is the father of four children and a granddaughter and and two grandsons. Gary has been to India twice helping his friends who conduct free health clinics. As president, he shall be the chief executive officer of the corporation and will preside over all meetings. He will be responsible for communications with organizations in India and have responsibility of managing corporate affairs and ensuring that all orders and resolutions of the board are enacted. Sarah earned her JD at Franklin Pierce Law Center at the University of New Hampshire and is a practicing attorney specializing in consumer law, appellate practice, criminal matters, employment and family law and Social Security and Civil Rights. She currently serves as the attorney to the Aroostook Band of Micmac Domestic Violence Project. She previously worked as an attorney at Pine Tree Legal Assistance in Maine which serves low income persons in a wide variety of civil matters in federal and state judicial and administrative forums. She has received numerous awards for her volunteer work including for the Volunteer Lawyers Project and for representation of Victims of Domestic Violence. ​Marion (Mimi) is a retired mother of three children. She has a graduate degree in costume design and has worked as a graphic artist in advertising, catalog design, and trade publications. Mimi has a long history of sponsoring impoverished children in Guatemala, Africa, Philippines, and the Dominican Republic. She has been a tireless volunteer with a wide range of causes such as Southern Maine Agency on Aging, at risk refugees in Portland, ME, One Child Matters, food and fitness awareness, Kids Can Grow, and Harvest for Hunger. ​Anita Bajpay runs a Film and TV Production company and resides in Edison, NJ. As an Executive Producer she has produced Bollywood Films, TV Commercials and Print Advertisements for many international brand products. She believes very strongly in the empowerment of women and the education of girls. She has worked as a volunteer at Manavi, a South Asian Women's organization, for over a decade. Anita served on the Board of Directors at Manavi since 2013 and was primarily engaged in Outreach and Community work and Fund Raising and was also Acting Director at the organization during its transition in 2015. Anita holds two Masters Degrees, one from Rutgers University, School of Communication and Information, NJ, and a second Master’s degree from Benaras Hindu University (BHU), India. She also has a Bachelor of Arts degree from Lady Shri Ram College, New Delhi, India and a Bachelor of Science degree from Benaras Hindu University (BHU), India. Anita is devoted to continuing her efforts as a strong community voice to raise awareness on behalf of women.